Stemware & Barware: "Koi Fish"
Description Wine Decanter 13"High. Seen here decorated with Koi Fish and underwater scenes. 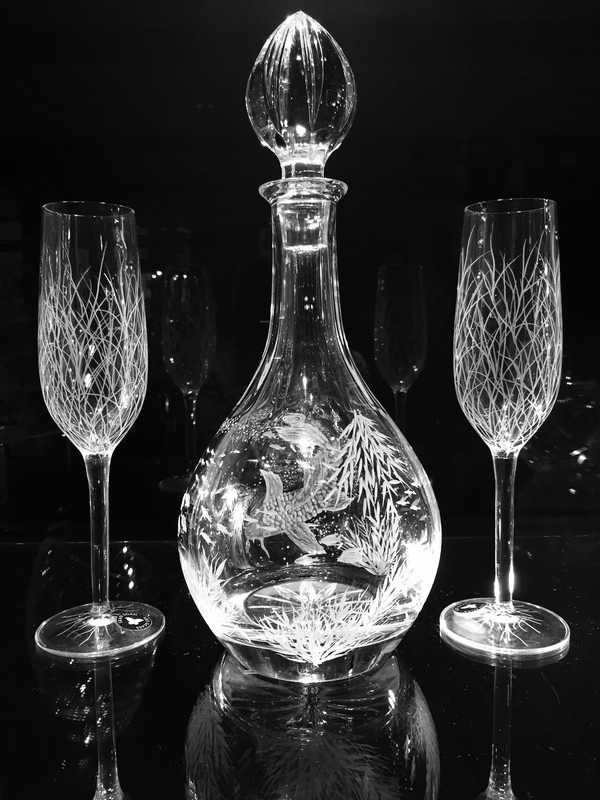 This decanter suitable for a variety of designs. Accompanied here with two flutes with sea plant design. Glasses are separate price at 70 euro for the pair.